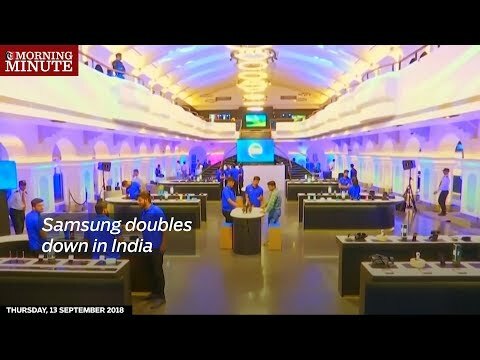 Samsung recently opened its biggest mobile store in the world, in a restored colonial-era opera house in India. It's the world's fastest growing major market for phones and Samsung wants to jump ahead of Chinese competition. Samsung is betting big that it's the company's next moneymaker, as it tries to recover from sluggish second quarter earnings. The firm is ploughing $700 million into this new phone factory in the outskirts of New Delhi, which Samsung says is the biggest in the world.